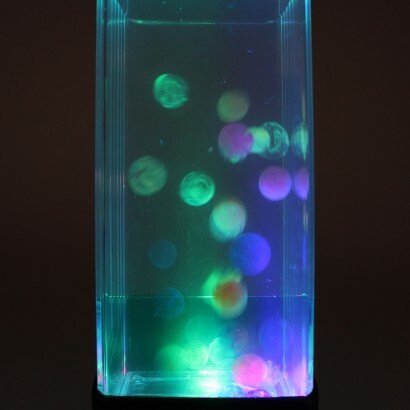 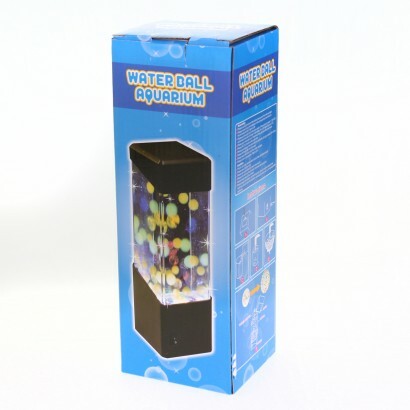 A soothing mood light with fluid relaxing movement, the water ball aquarium is filled with colourful water balls that rise and fall in a mesmerising motion. 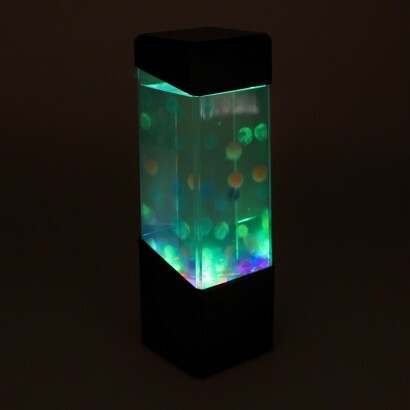 A fan in the base of the aquarium lamp gently blows the water balls to give them movement and RGB LEDs in the base shine through the lamp lighting the water for hypnotic effects. 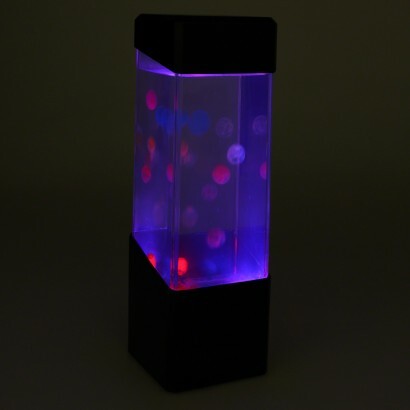 Battery operated, this mesmerising light is ideal for setting a relaxing tone at home or for use as a sensory lamp encouraging visual stimulation and tracking.